I’m not climbing Mt Whitney which many PCTers do as a side trip. I’ve been up there 4 times and it’s just not that pretty of a peak. We hiked over Kearsarge and part way up Forester, a short day, but that’s the way campsites work. We pitched our tents in the treeline, a little protection from the wind and got a good start in the morning. It only took about 2 hours to get to the pass where we were buffeted by the wind coming up from the west. What is usually a quick trip down the switchbacks and on down the valley to Tyndall Creek was made a lot slower by the headwind. It took a long time to get down far enough that I could delayer. The wind ran right up my nose for miles, giving me an ice cream headache. We parted company for a few days, Puff Puff was going to climb Whitney at dawn while I headed out at Horseshoe Meadows to be whisked away by Noreen to Desert Trip to see The Who and Roger Waters in an outdoor concert. So fun! Great shows! Quality time with a close friend! Too soon, a couple days later, I found myself hiking back to the trail from Horseshoe. It was odd camping by myself again but the weather was clear, the wind gone. The first morning I saw a herd of 12-14 deer with a large buck heading them uphill above 10000′. A cowboy was riding up the trail and I asked him if he was deer hunting. I’d heard a rifle shot earlier in the morning. “Nope, cow hunting.” “Haven’t seen any of those,” I said. In the space of a few minutes, I went from High Sierra granite to sticker bushes, then cactus and heat. Heading NOBO last year, Kennedy Meadows was the destination: 700 miles, the end of “The Desert” and the beginning of the Sierra. I never thought what it’d be like going the other way and dropping into heat and aridity. As I see the stickers and cacti, I relax, “You did it, you did it, you did it! 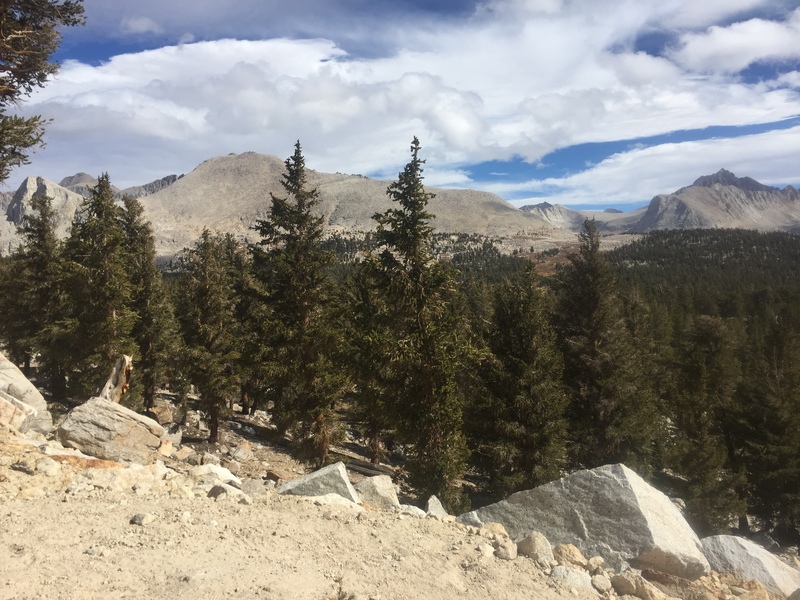 You made it through the High Sierra before the big snows.” And it was so beautiful, so empty of people, so wild yet familiar. 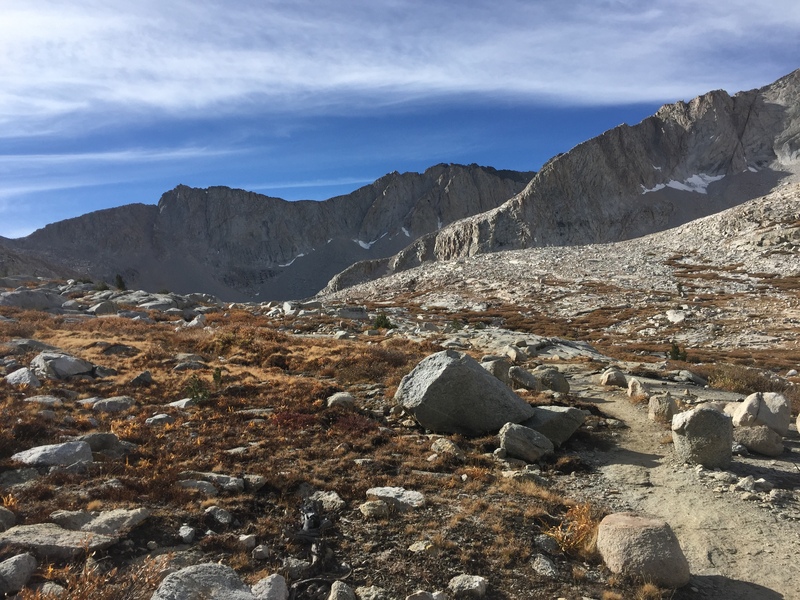 This was my fifth walk along the John Muir Trail, my third heading south, and the best so far. Is it the time of year? Wildlife in herds, flocks and murders? That same day I flushed a flock of birds out of a tree and a horde of grouse foraging on the ground in manzanita bushes. On the deck, just 3 hikers, in contrast to the NOBO crowd last year if 30. Puff, Decaf, Strings and I sat and gossiped and drank sodas or coffee or juice. I packed up my resupply and a bunch of water and headed back to the trail with Puff Puff and Decaf. Reunited! Dogwater, my sister, drove us from Mammoth to Tuolumne Meadows after a wonderful triple zero with food, beer and friends Joan, Noreen and Vicky. It snowed all day on us as we went over Donahue and I was constantly ready to turn back if it got bad. Risk assessment. Just a light snow with little accumulatio however. Puff Puff had a bad day but subtly let me know she’d rather follow my tracks than lead as she mostly does because she’s quicker than me. So I plodded up Donahue paying attention to where we could camp if we needed to get out of the snow and cold in a hurry. I feel like I know this country well since I’ve spent so much time on the JMT. Below freezing that night but out of the snow. Day 2 we made it to Reds Meadow, shut for the season, and camped by the river, woke up to frost covering our tents and the water in our bottles frozen. I was bummed and full of doubt and dread of the brutal hard days ahead. 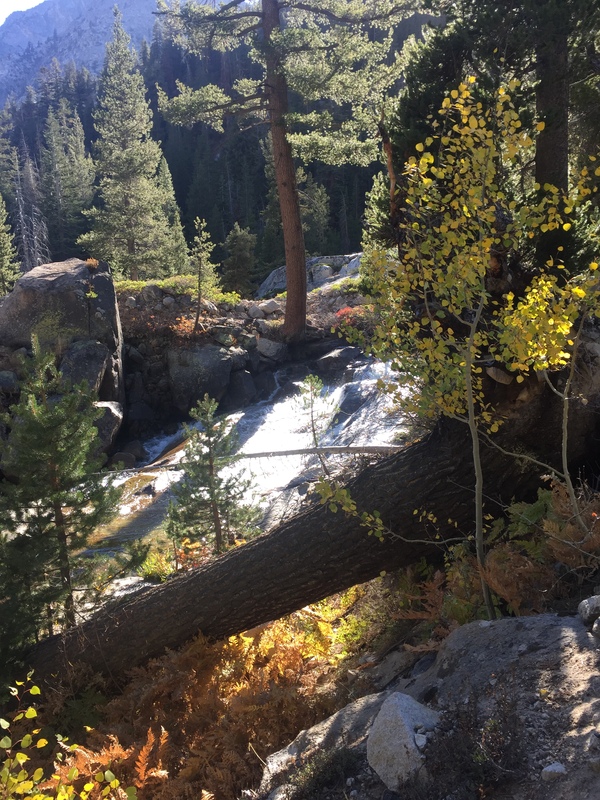 I told Puff Puff I would hike the 2 days to VVR but if it stayed so cold, I’d pick up my resupply, back track to Reds, find a ride back to my beloved Mammoth and skip the High Sierra. 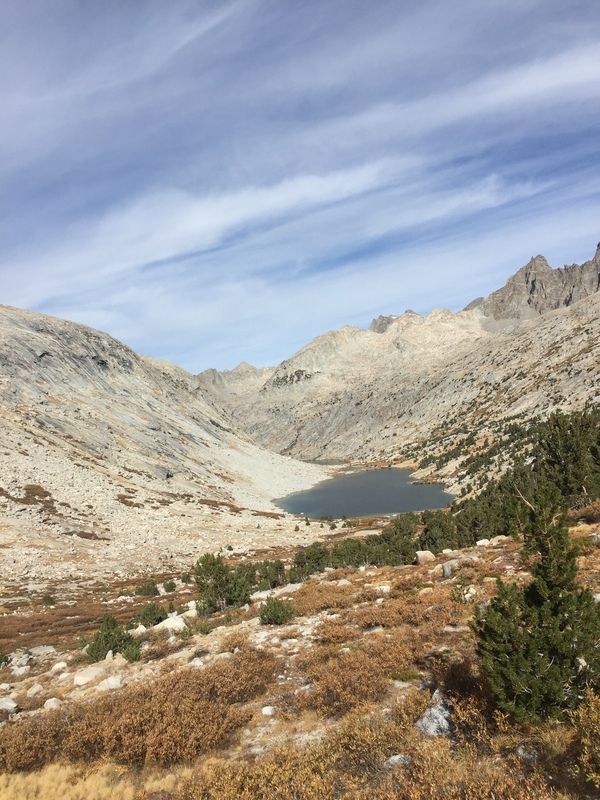 We have had an understanding, an agreement, that we’d hike the Sierra together so I felt torn, but I was dreading 20 mile days at altitude in the cold with so much up and down on a trail I’ve been on twice in each direction in the last 3 seasons. Why do this if it I hate it? Day 3 we hiked 18 miles to Tulley Hole where we camped with Decaf (check his fundraising site at James Trafford, amazing guy from England living in Australia) and Melissa from Quebec, and I realized no way I’m hiking back down to that hole again, so up and over glorious Silver Pass and into VVR with a proper attitude reset. 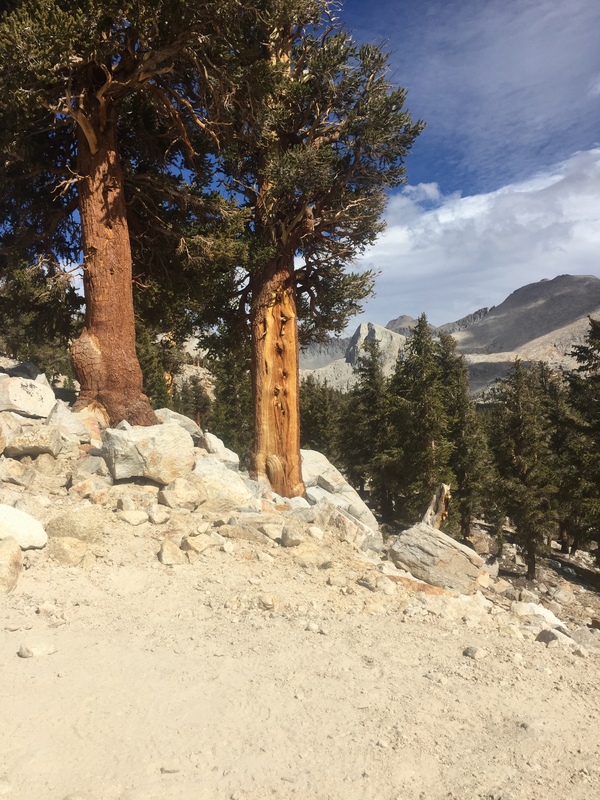 Puff Puff stayed on trail to avoid the additional 8 miles, while I camped at VVR and enjoyed a bonfire with SOBOs Decaf, Broken Toe, Melissa, Whiskey Nicky and 4 other hikers on the JMT. Day 4 we went over Selden to Sallie Keyes Lake and the weather was warm and I have so many good memories of this area. Day 5 we made it part way up Muir Pass to Evolution Lake and we camped alone and it was one of the two most beautiful spots on earth, the other being Dzongri, Sikkim in India. I could feel my father’s soul, I know he hiked here in the 1950’s, and all humans who love this earth, who love life were swirling around me in one endless clear breath of moonshine and granite. 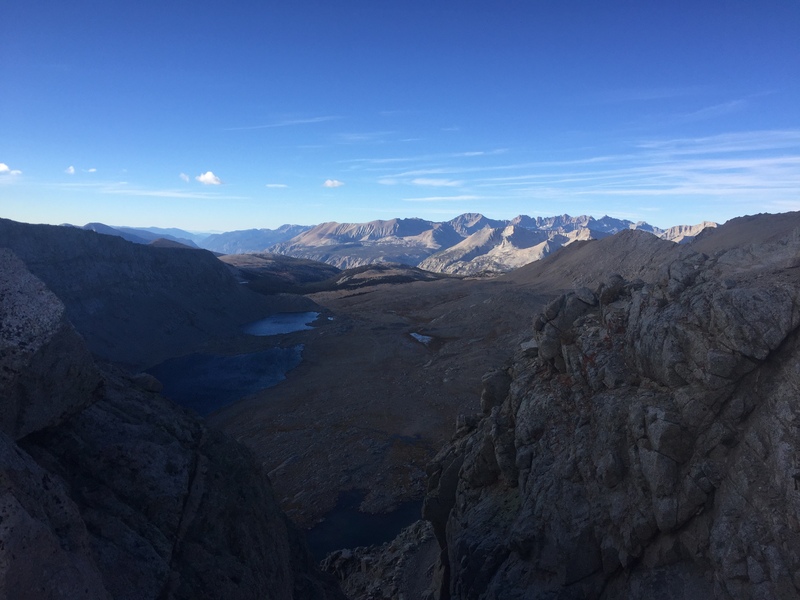 Day 6, we climbed Muir Pass, no snow. After a 22 mile day, we crawled into our tents part way up Mather Pass. Puff Puff saw her first coyote as the sun faded in the canyon. Somehow I strained my ankle a few miles from the end and it hurt and swole up but based on last year’s experience I knew it would be good to walk on the next morning. Ibuprofen is my constant companion. 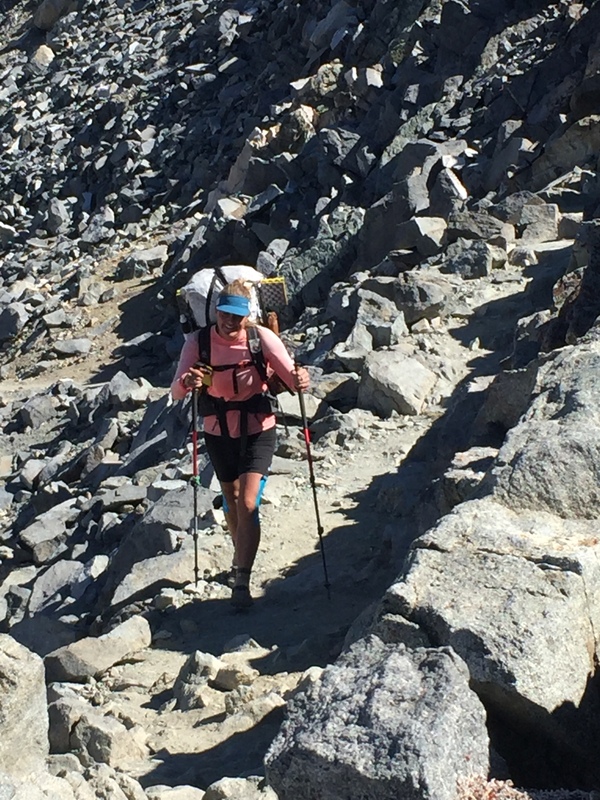 Day 7, we pushed another 22 over Mather and Pinchot passes, stumbling to camp in dusk and deer. These mountains are incredible, but the miles are hard nonetheless. 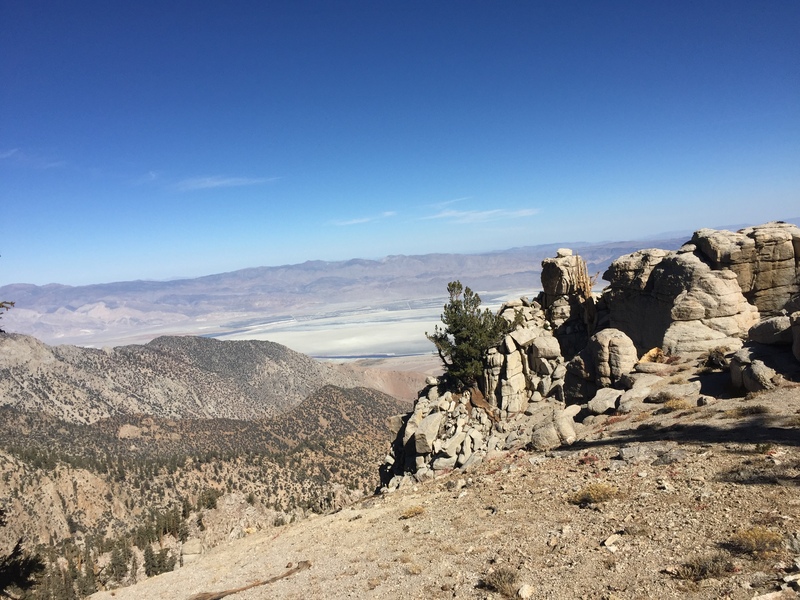 Day 8, 22 over Glen and Kearsarge to friend Strider going above and beyond as a business owner picking us up at Onion Valley at 6:30 pm and whisking us to 72* at her Mt Williamson Motel in Independence. She gifted us with Strider (from Lord of the rings!) necklaces, sterling and Svorski crystal hearts that she designed and has made for women hikers. 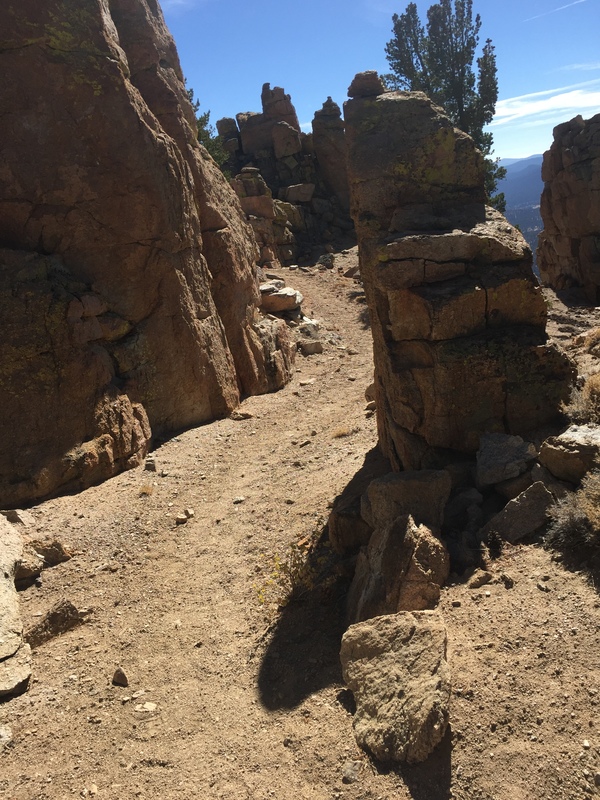 Quick post to let you know I’m still on the trail. Actually through most of the Sierra: Donahue Pass, Island, Silver, ,Selden, Muir, Mather, Pinchot. Just Forester to go. But I get ahead of myself. 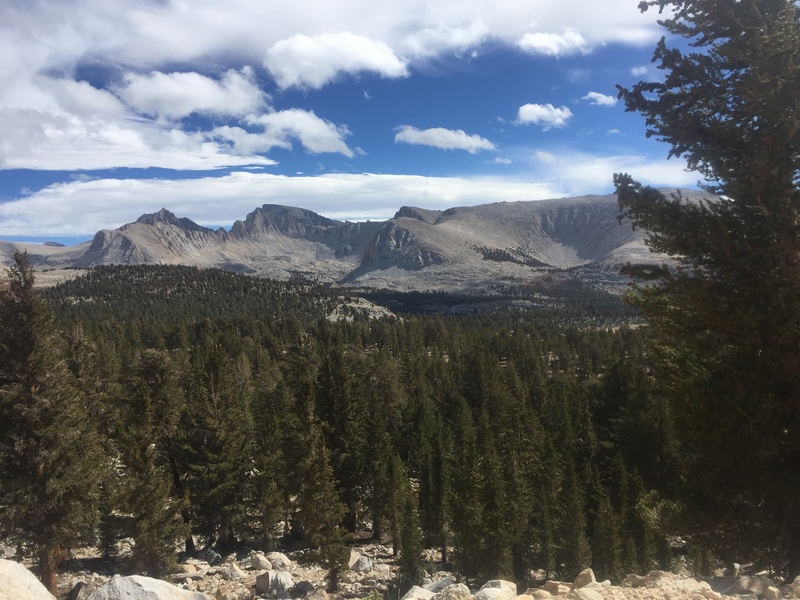 Subfreezing night joined by friend Corey, then snow through Aloha Lake, an impulsive hitch to South Lake Tahoe for a motel and food, deer hunters and a game warden, Ebbetts Pass, Sonora Pass, and a final 26 miles to reach Tuolumne Meadows in time for the June Lake Beer Festival. With an infected toe, somehow the nail bed of my left big toe got blistered. Whew. An amazingly beautiful stretch of trail. 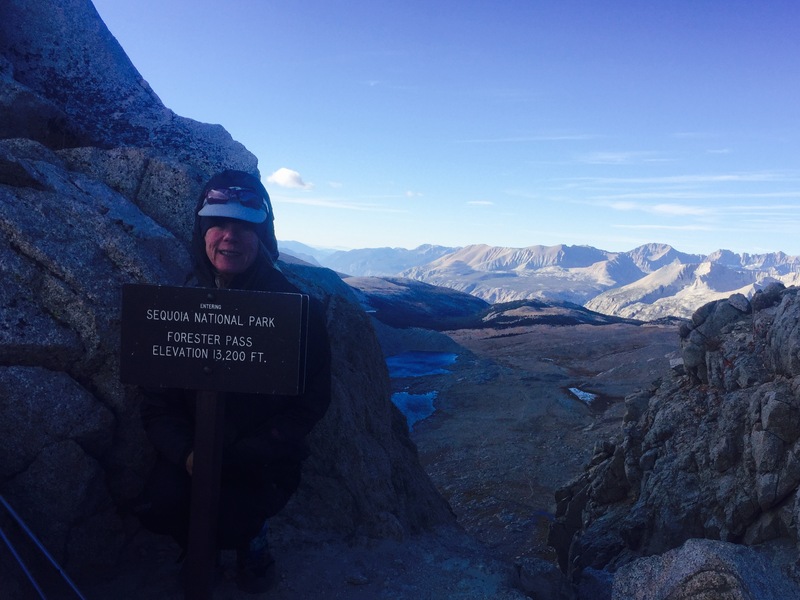 We spent a triple zero in Mammoth Lakes! The beer festival was fun, good beer, good food, good friends Noreen, Vicky, Joan and my sis Dogwater. 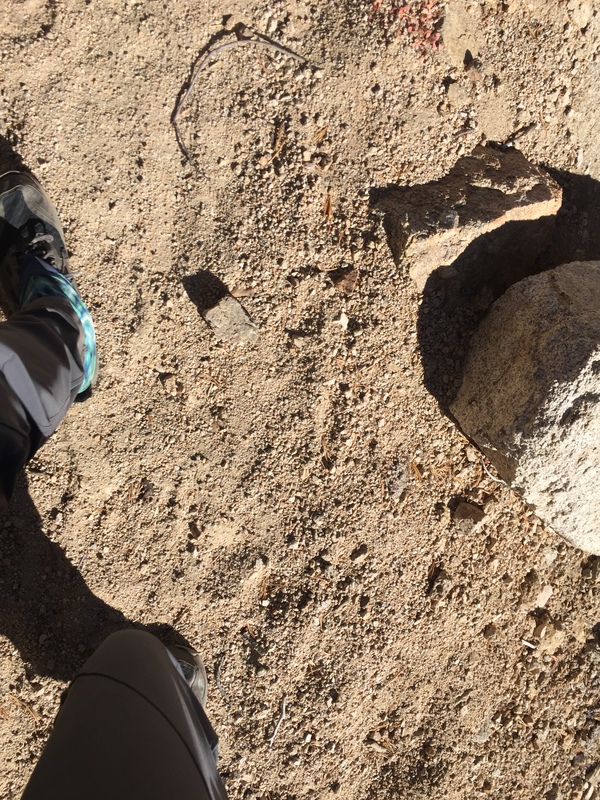 I got antibiotics for my toe, a winter weight shirt, new hiking sticks to replace the one I splinted with tent stakes and overall rested up for the big passes of the High Sierra.